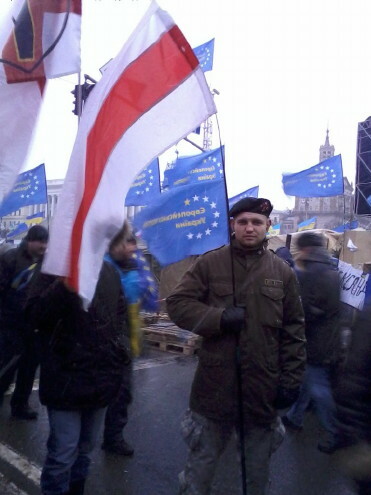 Belarusians in Ukraine. Belarusians are scattered throughout Ukraine. Most of them have come in from Belarus the last few decades of the existence of the USSR and settled in the larger cities and industrial regions. According to the 1926 census there were 76,000 Belarusians (0.4 percent of the population) within the Ukrainian SSR’s boundaries at that time, and 48 percent of them lived in cities. The Crimea had 3,800 Belarusians, while northern Caucasia had 50,000. The largest concentrations of Belarusians were in Kyiv with 5,400, in Dnipropetrovsk with 4,300, in Krasnodar with 3,000, in Odesa with 2,500, in Dniprodzerzhynsk with 2,100, in Kharkiv with 1,500, and in Donetsk with 1,400. Fifteen thousand lived in the Donbas. There were several Belarusian peasant colonies in the steppes, most of which were established in the first half of the 19th century: Maliivka, Barshevo, and Yavkivno in the Mykolaiv region, and Sursk and Lytovsk in the Dnipropetrovsk region. The Belarusians assimilated quickly in Ukraine, as is evident from the fact that of 76,000 Belarusians only 16,000 used Belarusian as a working language. The number of Belarusians in the Ukrainian SSR increased to 291,000 in 1959 (0.7 percent of the total population), 386,000 in 1970 (0.8 percent), and 406,100 in 1979 (0.8 percent), owing to large-scale immigration to the industrial regions of Ukraine, the Crimea, and the large cities. In 1970, 76.6 percent of the Belarusians in Ukraine lived in urban areas. Their largest concentration in 1970 was in the Donbas with 109,368 (114,000 in 1959), the Dnieper Industrial Region with 63,000 (11,600 in 1926, 46,000 in 1959), the Crimea with 39,700 (3,800 in 1926 and 21,700 in 1959), and Kyiv with 17,500 (5,400 in 1926 and 13,200 in 1959). According to the 2001 census, there were 275,800 Belarusians living in Ukraine (0.6 percent of the total population of Ukraine). The majority of them (77.8 percent lived in cities). The largest concentration of them lived in the Donbas, but Belarusians can be found in almost every oblast. They are fewest in Western Ukraine. The All-Ukrainian Association of Belarusians was founded in 2000.